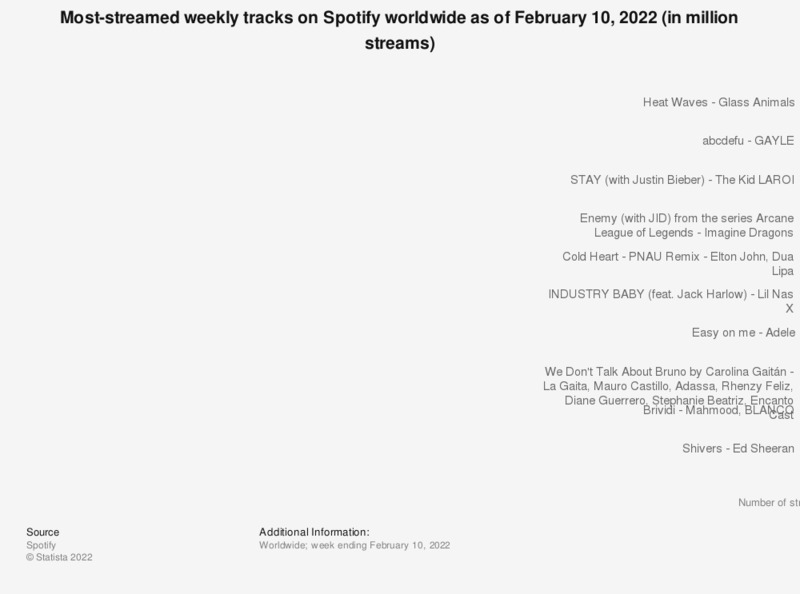 This statistic presents the most-streamed tracks on Spotify worldwide during the week ending March 28, 2019. During this period, '7 rings' by Ariana Grande was ranked first, with around 31.27 million streams. Second in the ranking was 'Con Calma' also by Daddy Yankee.